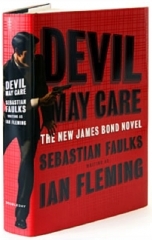 EntertainmentWeekly scooped us all today when it unveiled the US artwork for the upcoming James Bond novel Devil May Care. 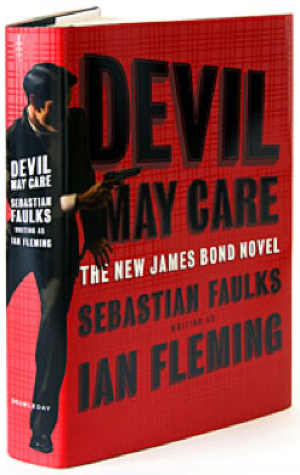 I can tell you Zencat over at the Young Bond Dossier loves it, but my reaction is more mixed. As cliche as it perhaps is or is becoming, I gotta say I like the UK hardcover better. I do like the pulp feel of this cover. Still, I’ll probably be getting both because… I’m a huge nerd. That’s right. Still, I do think it’s cool. It’s not as bad as some of the past covers. Notice, no skull.